Supplied free with PA mixer hire. Price on application, please contact us. 1m long, 252 LED bulbs. Creates stunning washes of color with incredibly sm.. Ideal for conferences, meetings, DJ's or live stage settings. Our PA mixer hire comes with two channel options 4 and 8. For more informat..
LG HD projector hireNative Aspect Ratio: 16:10Native Resolution: 1280 x 800.. Many different colours from 1 light, indoor use only. Our AV hire service includes an extensive stock of professional Audio Visual and DJ sound equipment to cover every event and party needs. Hire from us and you can rest assured your equipment has been thoroughly tested prior to dispatch from our warehouse. 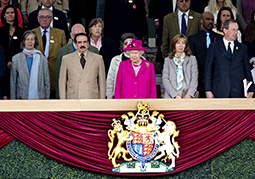 At Casablanca Hire we pride ourselves in providing an outstanding service. So give us a call and have a chat with one of our AV hire specialists. Q: I having problems finding a specific product. Q: How do I hire items? Q: What if I want to hire a marquee or gazebo? A: Our specialist Marquee Team are on hand to advise on all aspects of hiring a marquee or gazebo. Call the Marquee Team on 020 8457 5807 to discuss your requirements and they will be happy to help you. 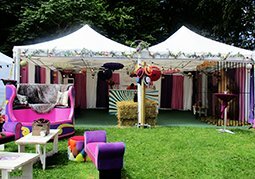 We also offer a free marquee site visit service so the team can make sure your event is a resounding success. Q: How much will my hire items cost? A: The prices quoted on the website are for minimum quantities. We offer discounted prices for larger quantities; please call our Sales Team on 020 8457 5807 for more information. Q: How long can I hire for? A: Our standard hire period is for 3 days or 4 days over a weekend (Friday – Monday). If you need the hire items for a longer period please call our Sales Team on 020 8457 5807 and they will be able to advise on the cost for the longer period. Q: How much do I have to pay for delivery and collection? A: Charges for delivery and collection are dependant on your location and the size of your order. When we have your location details we can give you an accurate quote. Additional charges may be incurred for out of hours, Sunday or Bank Holiday deliveries or collections. Q: I need the hire items delivered upstairs. Can you do this? A: If there is an adequate lift then delivery and collection upstairs is covered in the cost. If our Delivery Team have to carry the items upstairs additional costs will be incurred. We can advise on the cost for this when we have specific details about the number of flights of stairs. Q: Can I have a specific timed delivery and collection? A: Our standard delivery and collection period is between 9am and 5pm and we can normally offer a morning or afternoon slot on Tuesday, Wednesday and Thursdays. Specific timed delivery and collection slots can be booked and will incur an additional charge. Q: Can I collect and return the items myself? A: We offer a dry hire service where you can come to our warehouse and collect the hire items yourself. If you are planning to do this we ask for a deposit that will be refunded to you when the items are returned. The only items we do not dry hire are marquees or gazebos and sundry items associated with these. 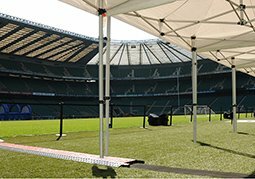 Our specialist Marquee Team will deliver, set up, take down and collect your marquee for you which is all included in the cost. Our warehouse is located at Unit 1, Kingsbury Works, Kingsbury Road, London NW9 8UP (Sat. Nav. NW9 8RW) and is open Monday – Friday 9am – 4pm. A: Refundable deposits are made within one week of the hired equipment being returned. We will also notify you of any additional charges due to damaged or missing items prior to issuing a refund. Q: Do I have a deadline for ordering items? A: Our stock is available to hire subject to availability so we do advise customers to book your items as early as possible. We can only accommodate last minute bookings subject to stock availability. Q: What if I want to make changes to my order? A: Amendments can be made to your order up to 24 hours prior to delivery but any additions are subject to stock availability. Please refer to our terms and conditions of hire for our cancellation policy. Q: How and when can I pay? A: If your event is less than 2 weeks away we will require payment in full. If your event is over 2 weeks away we require a holding deposit to secure the booking and the remainder of the payment is required 2 weeks before your event. We accept payment by cheque, debit card, bank transfer or credit card; the only card we do not accept is American Express. Q: Can I open an account? A: If you are placing regular orders, account facilities are available subject to relevant credit checks. Payment is due within 30 days from our invoice being issued. Q: What can I expect when my hire items are delivered? A: We will deliver all ordered items direct to your agreed location and ask you to sign a delivery note. If there are any discrepancies at this point do highlight these so we can take relevant action quickly and efficiently. If you have ordered a marquee, gazebo, stage or dance floor then our specialist team will deliver, set up, take down and collect from you. Q: What happens if there is problem with the equipment? A: It is advisable to check all equipment on the day of delivery. Any problems should be highlighted the same day to our office so that it will enable us to rectify the problem prior to the start of your event. We do have out of hours contact numbers and these are available by contacting our Sales Team on 020 8457 5807. Q: What happens if I break, damage or lose equipment? Q: Who is responsible for the equipment whilst on hire? A: It is the hirer’s responsibility for all the equipment hired from Casablanca from the time of delivery through to the collection. Q: What are the replacement costs? A: The full replacement costs are dependent on the items being hired. Check our Replacement Costs page for a full list of the costs. Q: Do you have emergency out-of-hours numbers? A: We do have out of hours contact numbers and these are available by contacting our Sales Team on 020 8457 5807. Q: Do I have to return my washable hire items clean? A: You can return washable items clean or dirty to us. If you return them dirty we charge a 20% wash charge on these items. Q: Do you have a showroom I can visit? A: Yes! We are always happy to meet new or existing customers. If you would like to visit our showroom please call us beforehand on 020 8457 5807 and we will be glad to show you our extensive range of items to hire. Our showroom is located at Unit 1, Kingsbury Works, Kingsbury Road, London NW9 8UP (Sat. Nav. NW9 8RW) and is open Monday – Friday 9am – 4pm.